Aaron Rodgers has been doing things that seem inhuman throughout the second half of Sunday night’s game against the Chicago Bears. After being carted into the locker room in the first half, he came back into the game in the second half, down by 17 points, and has proceeded to throw three touchdown passes. 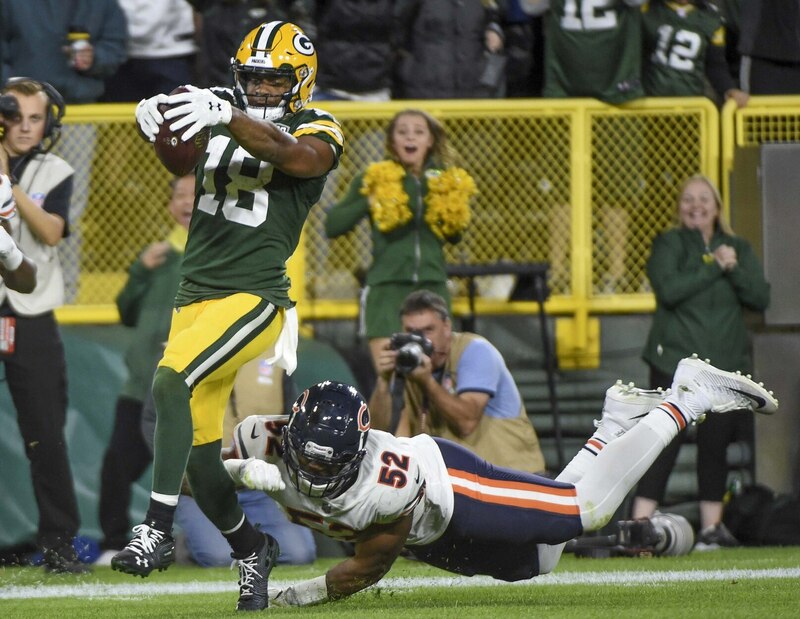 The third touchdown occurred with just 2:13 left on the fourth-quarter clock as Rodgers found Randall Cobb in the middle of the field. Even Cobb couldn’t believe how open he was after catching the ball. Then he turned upfield and romped for the go-ahead score. He’s been simply unbelievable. Unbelievably good. Aaron Rodgers has a 135.1 passer rating tonight, which will slightly raise his career 103.8 rating. No other QB in NFL history has a career passer rating over 99.